One part of building a community and audience as a blogger is to have engagement. It’s not just about the engagement you receive on your site, however. It’s also about how you interact with others in your niche on their sites and the engagement you give them. One of the main ways you can engage with others in your niche is by commenting on their site. I’m a huge proponent of this, and all too often I see it fall by the wayside by many bloggers. Today, I’ll be discussing the importance of commenting and engagement, and why commenting on others’ blogs is awesome for your blog. I’ve talked numerous times here on the blog about reciprocation and how important it is in terms of building community. You can read this recent post of mines where I touch on reciprocation a bit, but I really wanted to go into detail about how important and beneficial to you it really is. As with anything in life, you have to give to receive. It is one of the simplest concepts that is beyond failed to be understood by so many, and they don’t even know its a detriment to their blog growth. First and foremost, when it comes to commenting on others’ sites you must be intentional and genuine in doing so. Just like with posting to your blog or social media, you want to have a purpose behind why you’re sharing the content. When you go to comment, don’t do it just to do it. If the content did not truly resonate with you, then don’t comment. The reason being is because odds are that whatever contribution you would make wouldn’t be genuine. When people are being disingenuous is very easy to notice, and plus it makes you look like you’re commenting just to have a link back on someone’s site. Unfortunately, there are a lot of people who go around commenting on others’ sites just to try to drive traffic to there’s…essentially spamming. Looking like a spammer won’t make you friends or build community. Be intentional and genuine in your reciprocation. Looking like a spammer won’t make you friends or build community. When you’re commenting on other blogger’s blogs, you can never go wrong by giving constructive feedback. Most blogger’s welcome and appreciate feedback because it garners engagement and keeps the conversation going from their post topic. When you offer your feedback it not only allows you to share your thoughts and expertise, but it allows other’s who may be visiting the blog to interact with you. Again, it all goes back to building community. You never know who you may “meet”, by offering some constructive views on someone’s site. Offering feedback not only allows you to share your thoughts but expertise as well. Just like leaving constructive feedback, asking the site owner questions within your comments garners engagement and opens up the lines of communication. Asking questions is a one-way ticket to establishing a relationship with the author of the blog and fellow visitors. They themselves may answer you back directly, or others who are commenting as well. Oftentimes, the author will actually answer your question in a future post, giving a more detailed answer and information than they can in the comments. This allows the author to no only help you by answering your question, but get the information out there to the rest of their readers. Asking questions is a one-way ticket to establishing a relationship. While you may have something to contribute to the author’s post, you can always comment on what others are saying about it. By commenting on others’ comments you are still showing engagement and joining in the conversation in the comments. This allows others to get to know you, as well as the author. I’ve seen this many times on blogs, and the best conversations are sometimes right within the comments of a post. Don’t shy away from doing this, just because you feel like you need to only talk to the post’s author. Don’t shy away from joining the conversation, comment within the comments of a post. Build a little time into your blogging schedule to comment on others’ blogs. Those ten to fifteen minutes you spend engaging other bloggers can do wonders for your own site. When you start sharing and commenting, you will no doubt see referral traffic from their sites to yours. If you’ve shared something insightful or interesting, people will click over to check you out. Those individuals may just become your new readers and a part of your community. They may have never found you otherwise, which I can personally attest to. I’ve found some of my favorite and most resourceful blogs in the comments of other blogs. I figure if this person is engaging someone I like, we must have something in common, and more than likely I click over to their site and we do. The next thing I know I clicking through their site, commenting, and then adding them to my Feedly so I can keep up with their posts. It’s just that easy! Build a little time into your blogging schedule to comment on others’ blogs. Giving and reciprocation are at the basis of being a successful blogger, growing your readership, and building community. If you don’t put yourself out there and let others in your niche know that you exist, then they won’t know. Unfortunately, the world of blogging (or business for that matter) doesn’t work by just putting content out there and hoping someone stumbles across it. Making a name for yourself by reaching out to others to others is key. Commenting is just one of the ways to do this. I’ll be discussing a few others ways, such as guest posting and contributing, very soon. We will dive even deeper into how sharing and caring will help you become a successful blogger in the long run. The best thing about it all is that everyone is winning when you share and show reciprocation. Having the mindset that there is room for everyone to succeed, and not feeling threatened, as well as showing support will get you so much further in life. Moreover, you will make some wonderful connections and possibly amazing friends in the process. Giving and reciprocation are at the basis of being a successful blogger. Do you make commenting on others’ blogs a priority? – What are some of the ways you show reciprocation? LIKE THIS POST? SHARE IT WITH ALL YOUR FRIENDS! I think you probably know.. I got everything I have today (blogging-related) by commenting on blogs. Friends, clients, friends and clients, opportunities and FUN! I love that I’m reading this while I’m playing catchup! I took a small break from the WWW to spend time with my mom, and now I’m a commenting fool 🙂 Commenting is the way to build community. I love my community. Hey! I came to Help Mama Remote and found this new gorgeous website! I LOVE it!! Great job with the design and rebranding! Love this post! 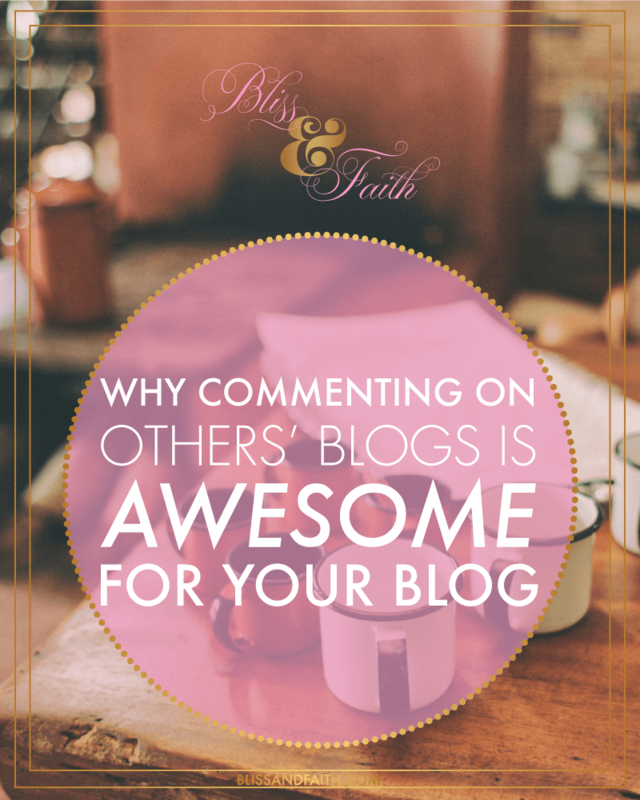 I completely agree, commenting is such a great way to build community and interact with other bloggers. It is such a great way to show support, especially since just sharing it is so much faster so it shows more effort and dedication and interest. Week 92 of Turn It Up Tuesday Linky Party with a Giveaway! I agree Jennice, because it shows that you really read the post and that something resonated with you! I think that genuine interaction is the most important takeaway from your post. Most bloggers are social and love to get comments and to interact with their readers! If you can find a common point of interest or a tip or tidbit that really stood out for you in their post, it can spark interaction with not only the blogger but also other readers, and get you noticed in a positive way! I agree Regina! I can definitely say that I love to get comments and interact with readers. I’ve fostered many friendships through commenting on other blogger’s blog, so it really can get you noticed!